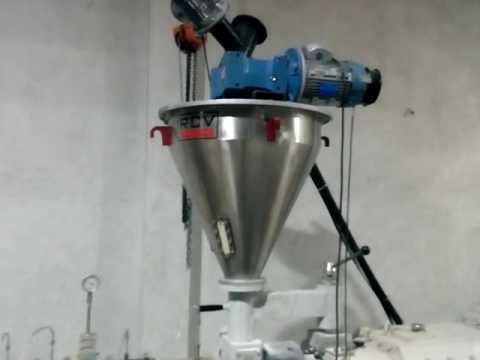 Established in 2014, we RCV Engineering I Pvt Ltd. are renowned manufacturer, supplier and exporter of high quality Material Handling Machine & System. The offered range of Pipe Extrusion Line, Vacuum Sizing Tank and Vacuum Conveying System. Our professionals manufacture these products using high grade components with the help of advanced machinery as per defined quality norms. The offered products are available in various technical specifications and can be customized as per the needs of the clients within promised time frame to. Established in the year 2014, we, RCV Engineering (I) Pvt Ltd., are one of the renowned manufacturers, suppliers and exporters of a massive compilation of Material Handling Machine & System. Our product assortment comprises of Pipe Extrusion Lines, Vacuum Sizing Tanks and Vacuum Conveying Systems that are precisely engineered, using advance & latest technology in the market. Furthermore, to meet the quality standards, optimum quality raw materials are obtained from our trustworthy & dependable vendors. All the products are manufactured in accordance with the predefined industry guidelines, at our end.